For those of you who enjoy standing on the edge of a cliff and staring at the crashing water below, you need not go much further than your back doorstep. 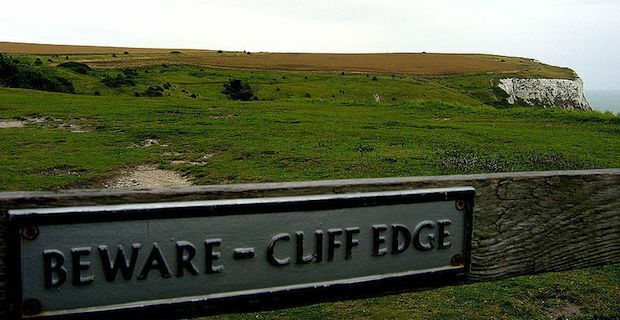 This list of the top cliffs that can be found right here in the UK are only a day trip away allowing you to experience natural some beauty from a height. Flamborough Head stretches 8 miles along the Yorkshire coast. The sheer white cliffs here are home to numerous seabird colonies that nest there making it a great spot for some bird watching. While walking along the coast, make sure to visit the two old lighthouse towers that reside on the cliff. The White Cliffs of Dover are the most well known cliffs in the UK. Running east and west from Dover in Kent along the English Channel, these cliffs are made up of soft white chalk with striking accents of black flint. The cliff face reaches 351 feet and is home to many cliff nesting birds similar to Flamborough Head. The Seven Sisters Cliffs can be found in the Seven Sisters Country Park in Sussex. These also are chalk cliffs that roll alongside the English Channel and there are plenty of benches and paths to help you explore these beautiful cliffs which sadly continue to be eroded. Hangman Cliffs consist of two sandstone cliffs in the north coast of Devon, the Great Hangman and the Little Hangman. Great Hangman is the highest sea cliff in England reaching 1,043 feet high with a cliff face of 800 feet while Little Hangman stands 716 feet tall. Walk along the 5 and a half mile path and experience all the stunning views on offer.